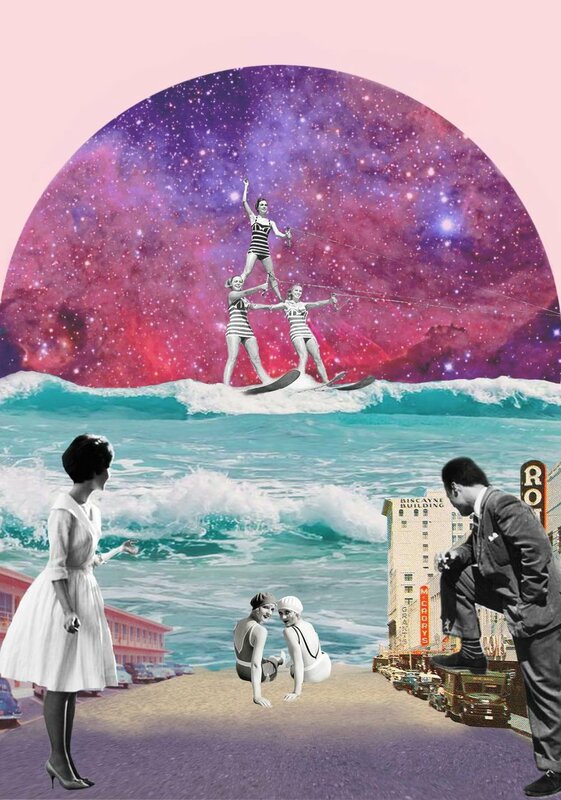 “Beach for All” (2015) – or “FIBI Beach, Enjoy the sea, not just the views". 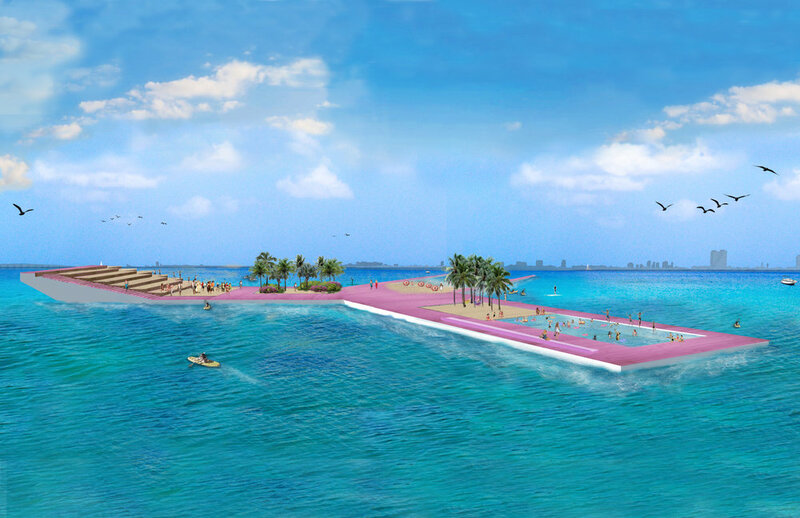 FIBI is an acronym for Floating inlets and Barrier Island Beach, is a large-scale interactive, site-specific dimensions variable set of inlets and artificial beaches that float between Miami and Miami Beach bay. This urban project has its genesis in Despujols’ rumination on the constant confrontation between humans and nature, the crisis of open spaces inspired by the constant de-naturalization of nature and its objectification by humans. Cities have historically intended to control and keep nature at bay, trying to dominate it instead o coexisting with nature. Despujols thinks expansively about Miami City as a place that precludes its inhabitants from making the beach and its related activities – swimming, resting by the shore, sunbathing – a part of their daily lives and therefore wishes to create a link between the city inland, its inhabitants and the sea. In her view, the waters surrounding Miami exist only in a visual and recreational manner: as a restricted object for contemplation from a distance, targeted mostly for expensive real estate development projects which inherently limit its accessibility and enjoyment by the general public. Her floating beaches erase the boundaries between our bodies, the city and the water, enabling the urban diagram to expand into new frontiers: those of the water and reinforces “Miami´s true asset: the sea”.Expanding the benefits that humans can derive from this daily contact with nature, and making humans an integral part of the ecosystem by incorporating more than a visual relationship with water are fundamental concepts of this work.